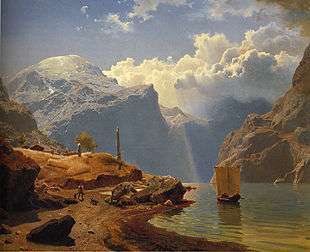 Norwegian romantic nationalism (Nasjonalromantikken) was a movement in Norway between 1840 and 1867 in art, literature, and popular culture that emphasized the aesthetics of Norwegian nature and the uniqueness of the Norwegian national identity. A subject of much study and debate in Norway, it was characterized by nostalgia. 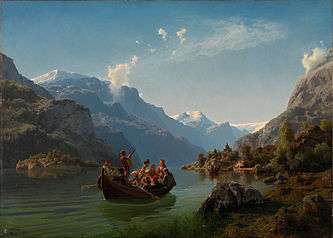 The context and impact of Norwegian romantic nationalism derived from recent history and the political situation. 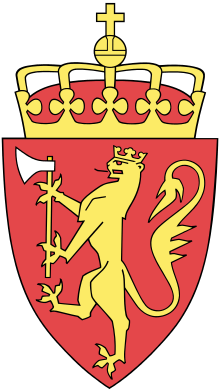 After more than 400 years as a Danish province treated as a cultural backwater by the absentee government in Copenhagen, the only uniquely Norwegian culture was found among the farmers and peasants in rural districts in Norway; Norway had in 1814 gained a partial independence in a personal union with the dominant kingdom of Sweden. The last king of union between Sweden and Norway, Oscar II, was a supporter of this new wave of collecting, starting what must be the oldest outdoor museum, the origins of Norsk Folkemuseum. He supported the manager of the Royal domains at Bygdøy, Christian Holst in his efforts to gather old buildings from the rural districts. Among the buildings that are still at the museum, the Gol stave church, moved here in the beginning of the 1880s, is the most prominent. Soon after other pioneers started equal efforts to rescue important pieces of traditional Norwegian architecture and handicraft. Anders Sandvig started the museum Maihaugen at Lillehammer. Hulda Garborg started the collecting of traditional folk costumes (bunad) and dances.